It’s official: all of Tesla’s electric car technology is now available for anyone to use. Yes, after hinting that he might be willing to do so last weekend, Musk announced this week that his companies patents are now open source. In a blog post on the Tesla website, Musk explained his reasoning. Initially, Musk wrote, Tesla created patents because of a concern that large car companies would copy the company’s electric vehicle technology and squash the smaller start-up. This was certainly reasonable, as auto giants like General Motors, Toyota, and Volkswagon have far more capital and a much larger share of the market than his start-up did. But in time, Musk demonstrated that there was a viable market for affortable, clean-running vehicles. This arsenal of patents appeared to many to be the only barrier between the larger companies crushing his start-up before it became a viable competitor. But that turned out to be an unnecessary worry, as carmakers have by and large decided to downplay the viability and relevance of EV technology while continuing to focus on gasoline-powered vehicles. At this point, he thinks that opening things up to other developers will speed up electric car development. And after all, there’s something to be said about competition driving innovation. And the move should come as no surprise. As the Hyperloop demonstrated, Musk is not above making grandiose gestures and allowing others to run with ideas he knows will be profitable. And as Musk himself pointed in a webcast made after the announcement, his sister-company SpaceX – which deals with the development of reusable space transports – has virtually no patents. In addition, Musk stated that he thinks patents are a “weak thing” for companies. He also suggested that opening up patents for Tesla’s supercharging technology (which essentially allows for super-fast EV charging) could help create a common industry platform. But regardless of Musk’s own take on things, one thing remains clear: Tesla Motors needs competitors, and it needs them now. As it stands, auto emissions account for a large and growing share of greenhouse gas emissions. For decades now, the technology has been in development and the principles have all been known. However, whether it has been due to denial, intransigence, complacency, or all of the above, no major moves have been made to effect a transition in the auto industry towards non-fossil fuel-using cars. 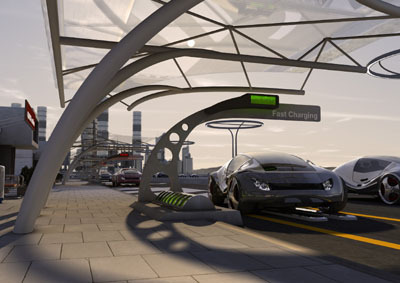 Many would cite the lack of infrastructure that is in place to support the wide scale use of electronic cars. But major cities and even entire nations are making changes in that direction with the adoption of electric vehicle networks. These include regular stations along the Trans Canada Highway, the Chargepoint grid in Melbourne to Brisbane, Germany’s many major city networks, and the US’s city and statewide EV charging stations. Also, as the technology is adopted and developed further, the incentive to expand electric vehicle networks farther will be a no brainer. And given the fact that we no longer live in a peak oil economy, any moves towards fossil fuel-free transportation should be seen as an absolutely necessary one. I just hope car companies will put long-term benefits over short-term profits for once. To them, it’s not a matter of efficiency or future stability, it’s a matter of money. They didn’t reinstall ignition switches after reports showed they were faulty because each switch would cost less than a dollar! Now they’re in court in front of Congress. That’s the kind of companies we may be dealing with here.